Welcome to Splash at Yale! Thanks for everyone who came to Spring Splash! 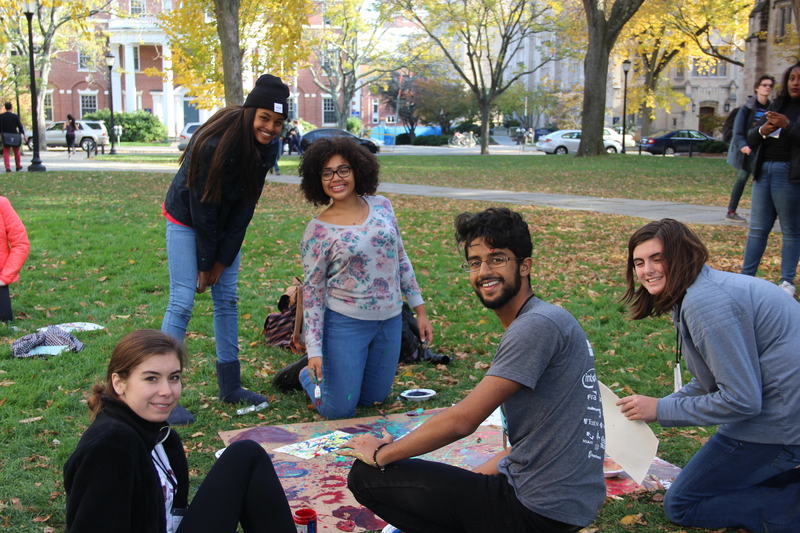 Splash at Yale is an event that brings high school and middle school students to Yale University for one day of unlimited learning. Students who come take classes in a variety of both conventional and unconventional subjects taught by Yale undergraduate and graduate students! Our goal is to build excitement for teaching and learning from both sides. Students get to learn about things that they normally wouldn't have access to, empowering them to find what they love to learn, discover new career opportunities, and become tomorrow's leaders. On the teacher side, we offer Yale students an opportunity to give back to their community while sharing what they love. This is a great opportunity to become part of an educational venture and become a leader in your field. As a Splash teacher, you get to pick any topic or subject that interests you and that you want to teach for a one or two hour long class. Your class can be a small discussion seminar, a large lecture class, or anything in between. Splash is a program run entirely by volunteers, and we rely on you all to make it happen! Check out our Facebook page! At Yale Splash, students can take classes in whatever interests them. Discover, explore, and experiment! Are you a Yale student? Teach what you are passionate about and inspire students by teaching for Splash!